Chain linked fence surround the grounds of the EPA proposed Superfund site where the former tannery remained in operation from 1924 to 1984. Throughout the lifetime of the plant, chemicals involved in the leather tanning process were discharged into on-site lagoons. On approximately 30 acres on Fairmount Street in Nashua, lays the remnants of the once thriving Granite State Leather company, commonly referred to as Mohawk Tannery, which remained in operation for 60 years. With the site now nearing 35 years since its closing, the graffiti-vandalized foundation is now the only way to establish the location of the plant’s original structure. The site’s street view is thwarted by chain linked fence and evergreen-colored privacy slabs, leaving the public questioning the progress of the project’s current state. 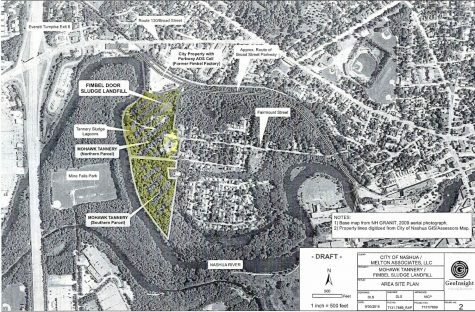 The practices completed throughout the lifetime of the company have left the area contaminated and the public at risk of adverse health effects, with chemical sludge lagoons located in the one hundred year flood zone of the Nashua River. After the U.S. Environmental Protection Agency (EPA) proposed the project to its National Priorities List in 2000, some asbestos building implements and tanning drums containing hazardous waste were removed, and the area was fenced off to protect the surrounding public. Chemicals from the tanning process remain in seven large “lagoons” throughout the property that contain dioxins, chromium, mercury, lead, arsenic, silver, cadmium, pentachlorophenol, methylene chloride, chlorobenzene, and trichloroethylene; nine of which are labeled “likely, potentially and definite cancer-causing compounds” by the American Cancer Society and EPA. Extensive testing of the site’s soil from 1989 to 2018 conclude that PCBs, asbestos and the chemicals earlier mentioned are present throughout the property, whilst the health of groundwater continues to be questioned despite measurement of water samples. “Mohawk” is currently placed on the Superfund Sites Targeted for Immediate, Intense Action, but has remained without National Priority status and funding. 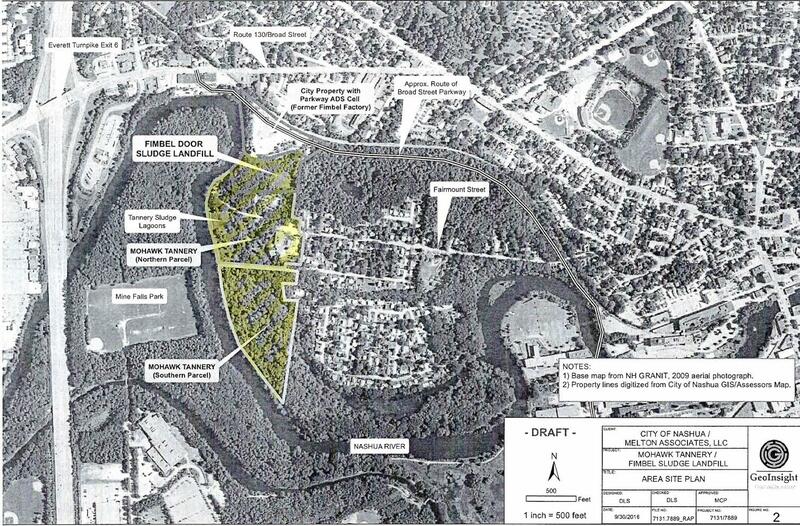 An aerial photograph of site which was featured in the July 2018 EPA informational packet. 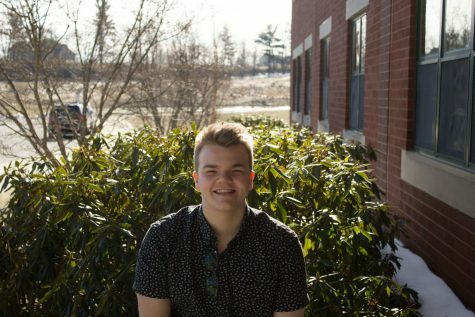 As New Hampshire Public Radio reported in Nov. 2018, a viable buyer of the Mohawk Tannery property is seeking to redevelop the brownfield land for housing, with a planned 300 multi-story units. The prepared purchaser, Bernard Plante, plans to encapsulate the lagoons after relocating four of the satellite pools into the two largest. The future rehabilitation of the site remains in question while negotiations continue. 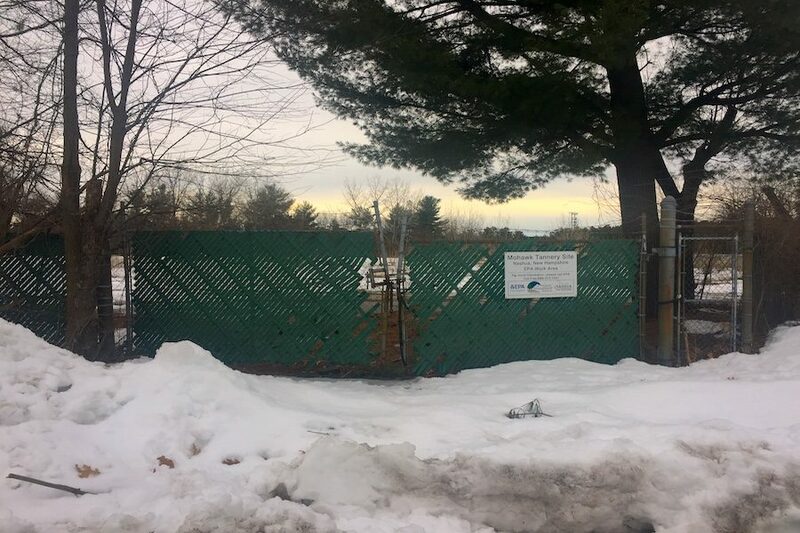 The EPA and NH Department of Environment Services’ Project Managers did not reply to our request for comment on the current state or future remediation of the site.